Entrepot Naval, S.L. has the ability to distribute supplies to vessels in ports around the world, such as Cape Verde, Montevideo, Durban, Cape Town, Jakarta, Namibia, Azores, New Zealand, Peru, Peniche, Australia, etc. For this purpose, we use any means of transport: vans, lorries, trains, containers, planes, etc. 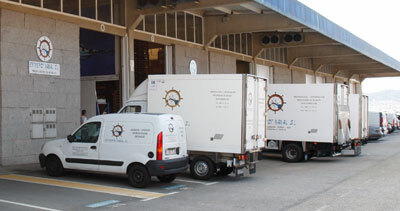 in order to make sure that the supplies are in the port of destination at the right time.